Comic books were once a child’s domain. Now not so much. Today’s Batman and Iron Man are aimed more for teenagers and, let’s face it, those more in their 30s than for those beginning their love for the graphic novel*. You may look fondly on your younger self, sitting around following the adventures of Wonder Woman, the X-Men, or Archie. But where do you start for your child? The following 10 comic books are ones that I’d recommend for children ages 7-12, who might find a story to love. And, parents, you just might love them too. There are monsters in every child’s life, but one girl, Barbara Thorson, is ready to fight them. And she’s preparing the world for her battle or at least trying. Barbara’s tale touches your heart, especially as she fights her demons: both real and imaginary. Between Kelly’s thoughtful writing and Niimura’s beautiful art, they bring Barbara’s story to life. Let I Kill Giants warm your heart. One of my favorite comic books about the bravery of small things: in this case, mice. Mouse Guard draws you in with its beautiful art and keeps you around with its big heart. The Mouse Guard valiantly defends all mice territories from threats like eagles, weasels, foxes, crabs, and sometimes even larger creatures. Despite their size, the mice risk their lives for each other and work together to bring down their larger enemies. Soon Saxon, Kenzie, and Liam will be your new friends. 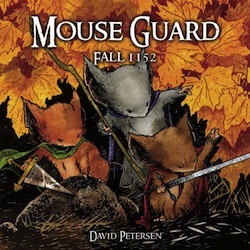 Buy Mouse Guard. Ever wonder what would happen if you found out your parents were super villains? That’s just what happens to these six teenagers (plus, one pet velociraptor). After finding out that their parents play for the dark side, they run away and plot to stop their parents. Also Vaughan doesn’t forget that they need practical things like food and shelter. How would you react to finding out that your parents are evil? 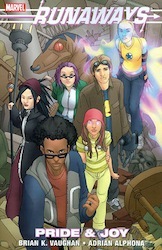 Join the Runaways on their epic adventures. I pretty much cannot stop raving about Denson’s Dolltopia. As a little girl, I played with dolls, mostly Barbies, Ninja Turtles, Batman, or Star Trek ones, all the time. There were extensive narrations in my head and certainly, ones like Denson’s book, that defied heteronormative gender identities. But before you go thinking Dolltopia might be too much of an intense genderqueer narrative for a child, it’s just subversive enough. 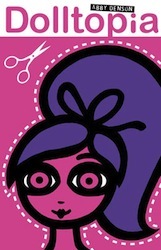 It is, at its crux, a story drawn in all black and white and hot pink about a group of dolls that escape humans’ homes to find themselves. Whomever they may be. And there’s nothing stronger to give a child to read, but a book that tells them that they will be loved, no matter who they are. Get some subversive fun in your life. Take a historical trip back to the Civil War with Rose and Isabel, two sisters who don’t sit idly by while their three brothers go off to fight with the Union soldiers. 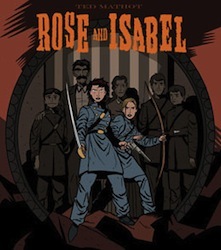 But Rose and Isabel are no ordinary women; they come from a long line of warrior women. And even though they were taught pacifism and kindness all their lives, neither will tolerate the loss of their family. Travel back in time to meet these strong ladies. Ever want to know what Mary Jane thought of Spider-Man when they were in high school? Now you can walk the halls with Mary Jane, Peter Parker, Flash Thompson, Liz Allen, Harry Osborn, and Gwen Stacey as they all try to figure out who they are becoming. Miyazawa manga-style art makes this teenage romp even cuter. 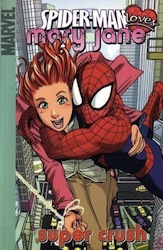 Discover Mary Jane and Spider-Man in their early days. Who doesn’t have fond memories of going to the orthodontist and reading Archie and the adventures of the rest of the gang in Riverdale? It can’t just be me. 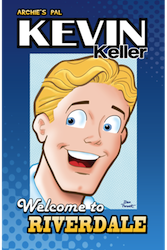 Well, today, the whole loveable gang’s still around getting up to their typical shenanigans that still make adults go “those darn kids!” Recently, current writer and artist Parent has introduced a new pal to the bunch, Kevin Keller. Kevin’s most famous for being Archie’s first gay character. Get to know Kevin and how he’s just another darn kid. Hiding from Daleks behind couches is a strong British childhood tradition I’d like to bring to the States. Exterminate! Here the Doctor and Amy Pond must stop the Daleks from invading Earth (again) and follow up on some rumors about there being a good Dalek. (The Doctor is not a believer.) My favorite scene is where a Dalek sinks into lava; now that’s something I’d like to see on the show. 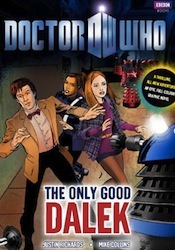 Do you believe in good Daleks? When Lindsay inherits her mother Janet’s superpowers, her teenage life involves more than just algebra. Inspired by Robbins own relationship with her daughter, GoGirl fosters a great mother-daughter relationship, not to mention equally awesome female friendships. In the first story, Lindsay saves her best friend Haseena, who’s been kidnapped, with the help of Janet and Haseena herself. Thoughout the book, Lindsay learns a lot about life, growing up, and her mother’s love as she starts fighting crime. And, of course, her adventures are just really a lot of fun. Take an adventure with GoGirl! Rex, a fox, gets taken from Earth to a faraway world to be studied. Due to his charismatic nature, he ends up traveling the universe and meeting his soul mate. In a comic with few words, Gagne paints every cosmic scene and discovers other worlds, species, and a bit of magic through the point-of-view of a fox. This adorable fox will melt your heart no matter what planet you’re from. What comic books do you recommend for those under 12? *Graphic novels are collected versions of comic books. Though sometimes these book might go straight to graphic novel format and skip the single issue. 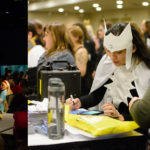 Erica McGillivray is the Director of Marketing for GeekGirlCon. Thanks you so much for the list, Erica. I have 5 nieces, 3 of which are 7 to 12, and I was really looking for comics for them. I just want them to experience a medium of literature/entertainment that can be fun. 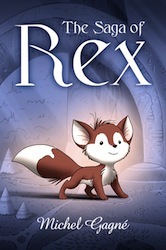 I believe I’ll get my youngest nice ‘The Saga of Rex’ by Magne. And while I was searching Amazon from its suggestions, I came across the ‘Zita the Spacegirl’ trilogy by Ben Hatke and I think that would be perfect for my second youngest niece (especially seeing all the cute adorable cosplaying fans getting his autograph at conventions in pics I saw). And I also found a preteen level comic series of 6 volumes (an ongoing) called ‘Amulet’ by Kazu Kabuishi that seems like something a twelve year old girl who’s becoming a teenager would enjoy. So, thank you again for helping me find comics that aren’t always mostly seem for mature readers (especially nowadays), my holiday shopping, and my wanting to share my love for comics, and reading in general, with my nieces. P.S. 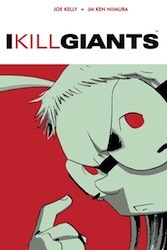 I’ll keep ‘I Kill Giants’ in my mind for a b-day for my soon to be 13 year old niece, me thinks. 😉 Also keeping in mind ‘Cleopatra in Space’ by Maihack, ‘Takio’ by Bendis, and the ‘Hildafolk’ series by Pearson. Amelia Rules! series by Jimmy Gownley. Great series, though it has been completed. Radiophonic novels: Babymouse series by sibling team, Holmes. Nancy Drew, various levels and authors. So many more! Ask a Childrens librarian or visit the ALA youth services reading online lists for graphic novels. My 5 year old LOVES Pippi Longstocking (comic version!) I highly recommend! Where is “The Undefeatable Squirrel Girl”? She’s part squirrel and part girl and all college freshman geek. She fights super villains then usually ends up stopping the fight to reason with them and convinces them to go away or go do good… 😉 It’s PERFECT for the 10 year old set ESPECIALLY the girls. If we were writing this post today it would definitely include The Unbeatable Squirrel Girl! Thanks for the recommendations! I haven’t read comics regularly for years, and this will help guide choices for my kids. It’s nice to see a list that’s a mix of familiar and new. You forgot Bob Scott’s Molly and the Bear!